I was at the airport last week, and needed a ride home. So what did I do? I tapped the Uber app on my phone, and within 5 minutes my ride was waiting for me outside the terminal. Pretty cool! You’ve probably heard of these companies, like Uber, Lyft, TaskRabbit, or AirBnb – they’re part of what’s known as the “shared economy.” Thanks to technology, people can now share their assets, time, skills or even money with others on a relatively small scale. My driver was this nice kid, about 25 years old, and I asked him how long he’d been driving for Uber. He said he just started like two weeks ago. And that got me thinking – in the past, if you wanted to go into a business like this for yourself, it took a whole lot of work beforehand. These days, though, you can decide on, say, Thursday that you want to make extra money doing something, and bam! – you’re in business on Friday. Of course, new ways of doing business can challenge the various existing tax rules that were written with a different model in mind. Most people who start a business like this are probably not thinking about that. 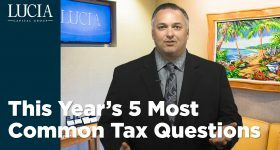 So, what are the tax considerations? First, if you’re renting out a room in your home, you need to separate your personal expenses from your business expenses. Very important. You also have to identify which tax rules apply to you. You might be renting just one room, or you could be renting out all the rooms, like a hotel, where the section 162 “Trade or business” tax rules apply. If you’re not quite at that level, and you’re operating at a loss, you might be subject to the loss limitations of Section 280-A or 469. And if you’re rendering personal services to the occupants, you might owe self-employment tax, so we’d have to look at code section 1402. There also could be some potential local tax obligations, like personal property taxes. So there’s a lot of stuff here. If you’re driving for Uber, or any one of the ridesharing companies, you need to figure out if it’s a business, or just a hobby. Most people might tell you they’re doing it just to earn extra cash, like a hobby, and not necessarily to generate a profit, like a business. But for tax considerations, you might be better off if it’s a business, because you can then deduct certain expenses. If it’s just a hobby, then it’s subject to the 2 percent of AGI limitation. You also want to make sure you’ve got good record-keeping. If you get a 1099, you’ll need to reconcile that with what your actual receipts were. There’s no question that the shared economy is here to stay. If you’re one of the growing number of emerging entrepreneurs, then you need to make sure you’re taking advantage of the opportunities that are available to you, and that you’re aware of the tax implications of doing so. As I said, it’s important stuff. If you need any help – give us a call. 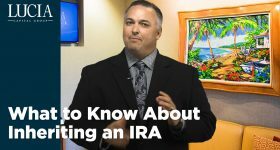 Information presented should not be considered specific tax, legal, or investment advice. You should always seek counsel of the appropriate advisor prior to making any investment decision. All investments are subject to risk including the loss of principal. No client or prospective client should assume that the information contained herein (or any component thereof) serves as the receipt of, or a substitute for, personalized advice from Lucia Capital Group, its investment adviser representatives, affiliates or any other investment professional. 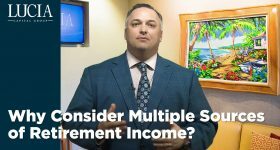 Why Consider Multiple Sources of Retirement Income? 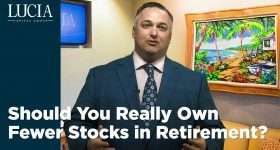 Should You Really Own Fewer Stocks in Retirement?